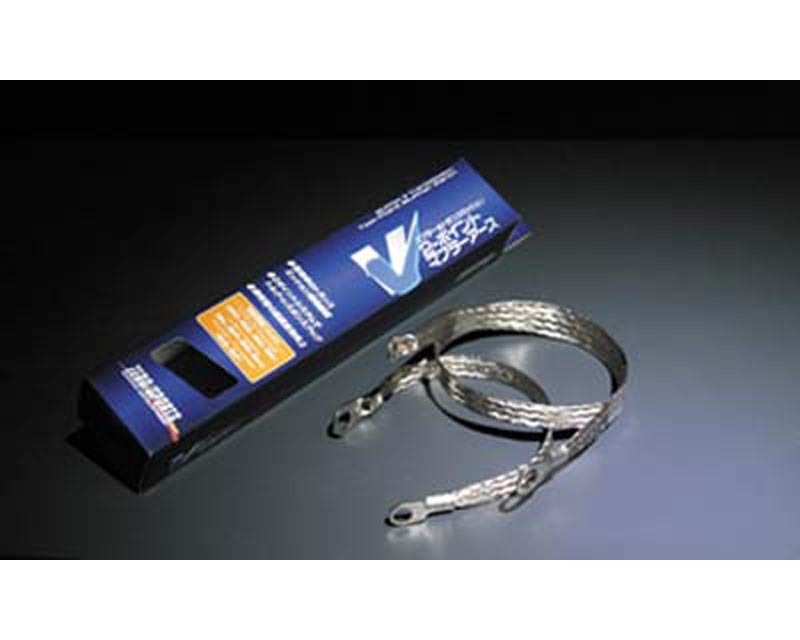 The Zero/Sports V-Two Point Muffler Ground is a wire grounding system for the muffler and transmission. A tendency for the obstruction of air flow occurs in the exhaust when static electricity builds up during high speeds. By installing the Zero/Sports V-Two Point Muffler grounding wires, static electricity inside the exhaust is removed, smoothing air flow and making the exhaust more efficient. -Besides helping to prevent corrosion inside the exhaust pipes, this product also acts as a transmission ground to improve torque response. -This product works on all automatic and manual Subarus.